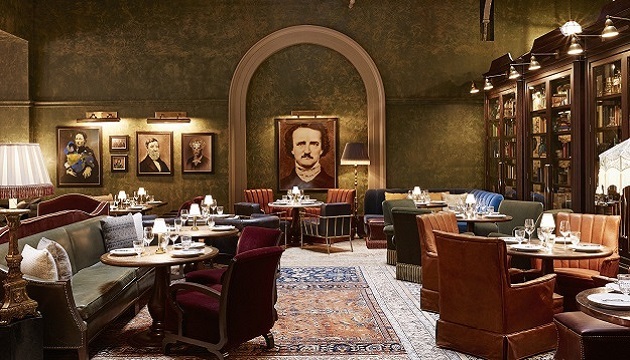 At The Beekman in New York City, concierge Graham Thomas draws on 12 years of experience to suggest what to do and where to dine when visiting the United States’ biggest metropolis. He offers advice for business travelers. What’s the most important thing for business travelers to pack when they’re heading to your city? Comfort and efficiency are paramount for getting around the city, and packing a few little things can make your stay more enjoyable. Bring a small umbrella because most hotels offer large ones that can be cumbersome in crowds. Pack clothing to accommodate nighttime variances in temperature, which can sometimes be 30 degrees cooler than the daytime high. Harry’s Café & Steak (1 Hanover Square; Ph: 212-785-9200) has been a Wall Street institution since 1972. The food is consistently delicious and served in a comfortable dining room that is never quiet, but always allows for conversation. The extensive menu suits any palate and budget. Acqua (21 Peck Slip at Water Street; Ph: 212-349-4433) is a fabulous coastal Italian restaurant in a quaint, rustic setting. Seafood is the specialty, but there are plenty of other options—and they even serve gluten-free pasta. What’s one thing that always surprises guests about your hotel or your city? Our guests are gobsmacked when they peer up at our nine-story atrium, capped by a pyramidal skylight and decorated at every level with Victorian wrought-iron railings. They want to know what the building was in its previous life. The answer: One of Manhattan’s original skyscrapers, called Temple Court. The building housed offices when it was completed in 1883—the same year the Brooklyn Bridge was finished. If business travelers only have a few hours for leisure, what must they see in your city? New York City is filled with more must-dos than can be accomplished in a few weeks, much less a few hours. That said, if you’re staying downtown, which is where The Beekman is, go to the 9/11 Memorial to pay respects and witness the monumental growth since 2001. Check out Brookfield Place, and walk along the Hudson River. Ellis Island and the Statue of Liberty come into view as you reach Battery Park. The options are endless, but I would start there. What’s the best option for outdoor exercise in your city? During the warmer months, there are loads of opportunities for yoga classes or tai chi in many of the city’s beautiful parks. But I find that running in New York City is very rewarding. The waterfronts on both the east and west sides of the island let you run any distance you desire. The Brooklyn and Manhattan bridges lead you to the boroughs. And Central Park is a utopia in the metropolis. If you’re unsure where you’ll be dining, dress appropriately for any situation. For men, a sports jacket and slacks with dress shirt and shoes will be accepted at any restaurant in the city—but it’s not too formal for a casual neighborhood bar. For ladies, pants or a skirt with an appropriate blouse is perfect. Flats are totally fine. Greet clients and colleagues with a firm handshake, eye contact and a smile. It sounds simple, but it’s important and often overlooked. Be professional, but don’t take yourself too seriously. Relax and share a laugh with your business colleagues.